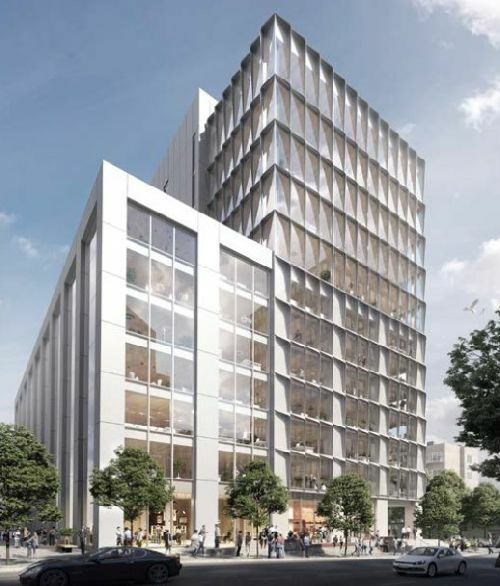 The Swig Company LLC has obtained $145 mil in construction financing for 633 Folsom, a seven-story, 171.6k sf office building in the SOMA submarket of San Francisco. The loan proceeds will be used to complete a full building renovation and expansion, which will add five floors and transform the property into a 12-story, 266k sf, Class A office building. The loan was arranged by Bruce Ganong and analyst Bercut Smith with HFF and funded through a domestic bank. Originally built in 1967 by The Swig Company, 633 Folsom has been fully leased for the past 20 years, most recently to California Pacific Medical Center. The renovation and expansion project is scheduled to commence in the summer of 2018. Construction of the new five-story addition will increase the rentable area by over 94k sf and raise the height of the building from 92 feet to approximately 165 feet.